Follow the Freelance Adventurer on journeys around North America and beyond! Find everything from a challenging hike in New Hampshire... to a two week adventure in Iceland... to a family-friendly vacation in Colorado. Search for a destination on her Adventure Map or browse using the label list on the right sidebar. Enjoy and Safe Travels! I've taken on a new writing assignment! 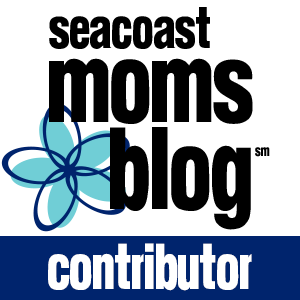 I'm now a monthly contributor to Seacoast Moms Blog. 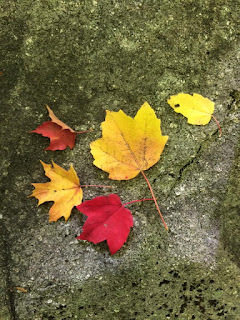 Although I will write about some things that tie into my lense of outdoor exploration on Freelance Adventurer, I will sometimes share posts here if I think my readers will appreciate it. And never fear, I'm going to continue to post and write on this blog. I have a lot of exciting outdoor adventures planned for the spring and summer. Some involving kids/families and some not! Please also continue to follow me on Facebook and Instagram. I appreciate all the support! I've been busy....like really busy. Full time job, two kids (two and 10 months) and still I try to hike and explore outdoors. As a result, I've been slacking when it comes to writing. If I have a spare 30 minutes at the end of the day, I choose Netflix over writing, but that doesn't mean I haven't been hiking! If you've followed me on Instagram @FreelanceAdventurer or Facebook @TheFreelanceAdventurer, you have seen that even with two under three, I've been able to get out. 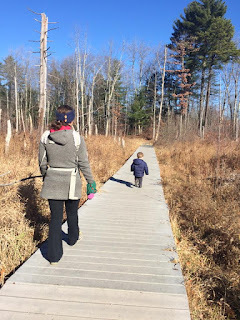 One of my favorite adventures with my littles has been to the short trails at Great Bay Discovery Center. In winter, the center is closed but the trails are open and the interactive exhibits along the short trail are perfect to keep the little legs moving. I started exploring this area with Hike It Baby this summer and have continued going alone or with mom-friends through the winter. Friends join us for a snowy hike. 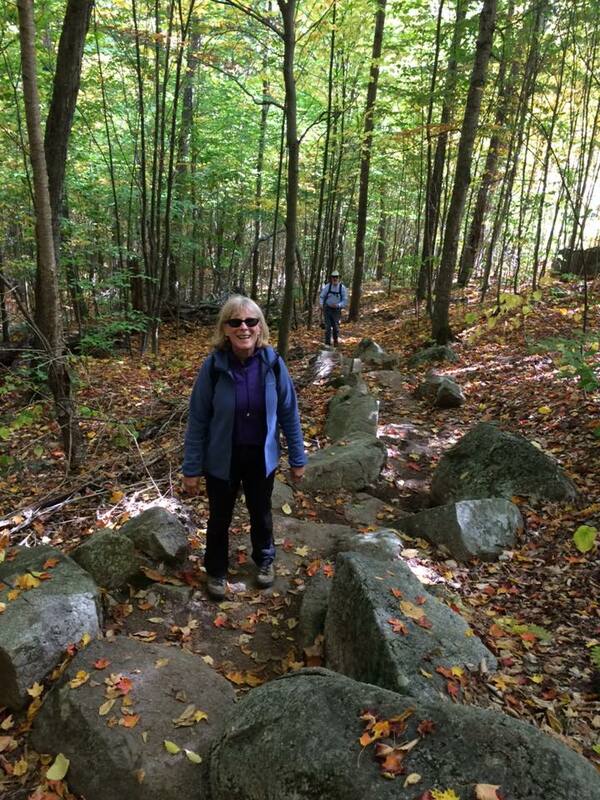 Getting There: The trail is located at the Great Bay Discovery Center at 89 Depot Rd in Greenland, NH. To get there, I take Hwy 16 to NH-33 and head toward Stratham. Across from Stratham Hill Park, turn right onto Sandy Point Rd, then right onto Depot Rd. The parking lot for the Discovery Center is just over the train tracks. There is plenty of parking, and the lot is plowed in winter. Trail: In the parking lot, find the little "milk truck" and "dog house". My kids love to play on this before the hike. From there walk towards the main building and the tall sign with all the arrows. From here, walk down the stairs to the trail. At this point, turn left. Up ahead is an interactive boat display. It's the first "stop" on the hike. Kids can climb on a gundalow, fishing boat, or row boat. It's hard to pry them away, but I always remind them of things to see ahead. Continue past the boats. There will be an interpretive sign on the right that shows the trail map. After passing a circle of stump seats, you'll start walking on the boardwalk. At the intersection, I take my kids left to see the Wig Wam - a native American house replica. You can definitely take the Woodland walk, but we prefer to go back to the board walk and walk the loop. It heads out into the marsh with a bird viewing station and binoculars at a cleared area. Even in snow, it's a fine walk! We loop back and I coax my kids back to the parking lot by offering more time on the boats. From the boats, we take the ramp trail up between the two main buildings. A nature scape playground complete with blocks, see-saw, slide, picnic area and bridge is at the top of the trail and a great end to our visit. In total, it is probably 0.25-0.5 miles. Difficulty: Easy! My 2 year old has no problem completing this adventure. Snow adds an extra challenge. This week we wore snow boats and I put additional traction on my boots since I was carrying the baby. I highly recommend MicroSpikes for winter hiking. - The Discovery Center is open to the public May - September 10am - 4 pm, Wednesdays through Sundays. The grounds are open year round but there are no bathroom facilitates during this time. Plan ahead! - In snow, the trail can be slippery. See how I prepared under "Difficulty". - If you take a right on the trail instead of a left to the boats, you actually can head down to a kayak/canoe boat launch onto Great Bay. In the warmer months, its a great place to splash and explore. Now that I have a little one, I find myself trading out some of my 4000-footer hikes for shorter, less strenuous climbs. My one-year-old son has been "hiking" since he was a week old, but understandably, after a few hours on the trail, he gets restless. As a result, I've tried hikes that are less than 5 miles with little to no technical climbing involved. 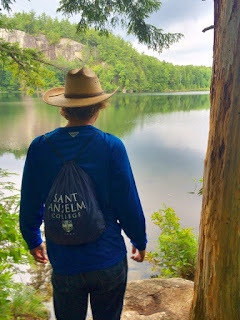 Most of the hikes have already been written about on this blog such as: Mount Major in Alton, White Ledge in Albany, Blue Job in Farmington, and Mount Willard in Crawford Notch. 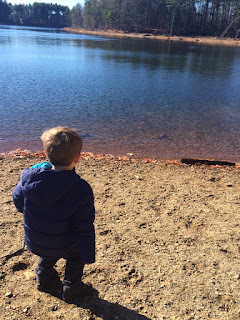 I was searching my blog to see if there are any I should add and I realized I had not written about one of my favorite family-friendly loop hikes in the Whites - Boulder Loop off the Kancamagus Highway! 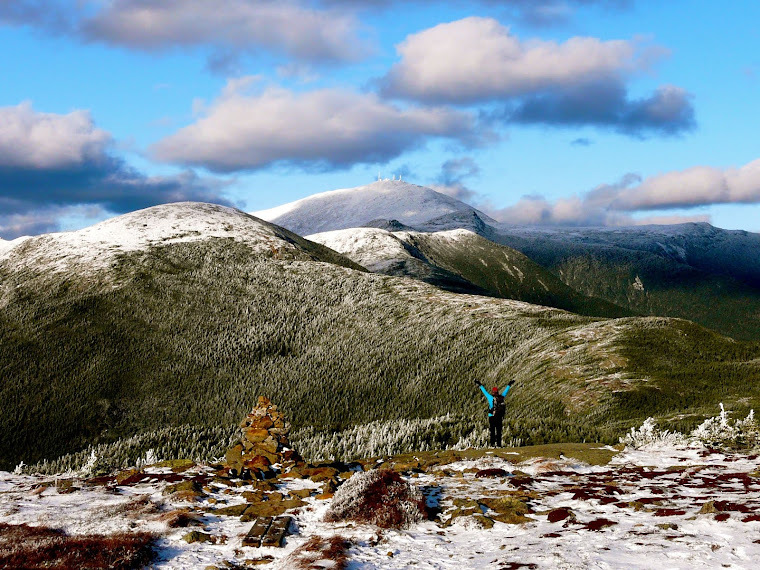 This 3 mile easy-to-moderately difficulty hike is perfect for a taste of the Whites. It provides excellent views, moderate strain, and is easily accessible with a parking lot and bathrooms near the Covered Bridge Campground. I especially enjoyed it this fall when I took my parents who were visiting from Oregon to see the fall foliage. 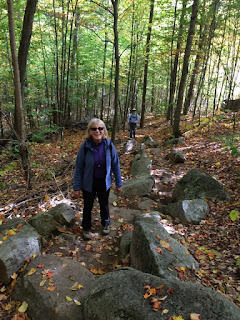 Getting there: The trailhead is easily accessible just off the Kancamagus Highway. From Conway, New Hampshire, take the Kancamagus Highway (Rt 112) about 6 miles to Dugaway Rd on the right. You should see signs for Covered Bridge Campground. There are two parking options. In the off season (winter and early spring), I park in the parking lot on the right before the bridge. Then walk across the bridge and follow signs to the trailhead. In summer and fall, you can cross the covered bridge and park in the Boulder Loop parking area on the right of the road. The trailhead is across this road from the parking lot. Since it is National Forest, you need to pay a parking fee (cash or check) at the kiosk or have a WMNF parking permit. Trail: The trail is well signed. Start by going 0.2 miles to the loop. You can go either clockwise or counter clockwise (I always go counter but I'm not sure why). If you go counter-clockwise (to the right), there is 1.3 miles of gradual uphill ascent. It is continuous but not strenuous. About half way up the trail veers left and has a steeper ascent (still moderate) until you get to a spur trail (marked) for the outlook. Take the 0.1 mile spur to a series of viewpoints and ledges. 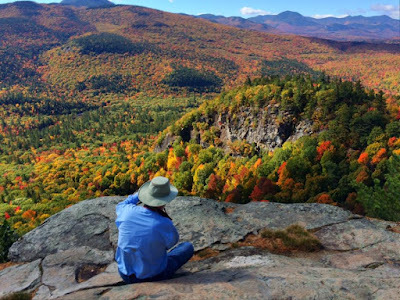 In fall, these views are spectacular. Nestled in the hardwood zone, you get a superb view of the foliage. I usually enjoy a break or snack at the ledges before heading back to the loop. Continuing on, the trail descends at a moderate difficulty, weaving a little back and forth for 1.1 miles before reaching the spur trail again. Difficulty: Easy to Moderate - By White Mountain standards this trail is on the easier side, however, it does involve some large boulder steps. To preserve my knees, I always bring trekking poles on White Mountain hikes since it's a guarantee that it will be rocky and in some places steep. It's shorter length makes it a great option for families or anyone wanting a shorter peak but still great views. 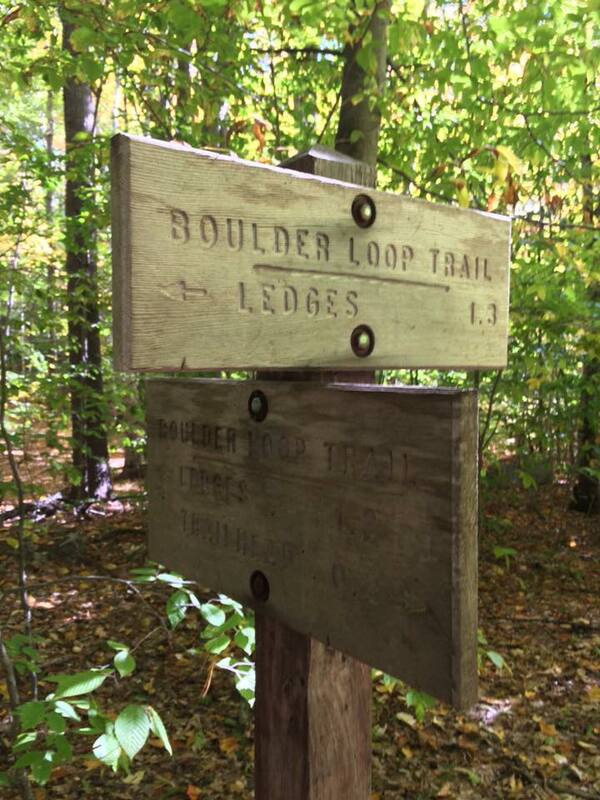 Distance: About 2.8 - 3.5 miles depending how far you explore the spur trail/overlook. 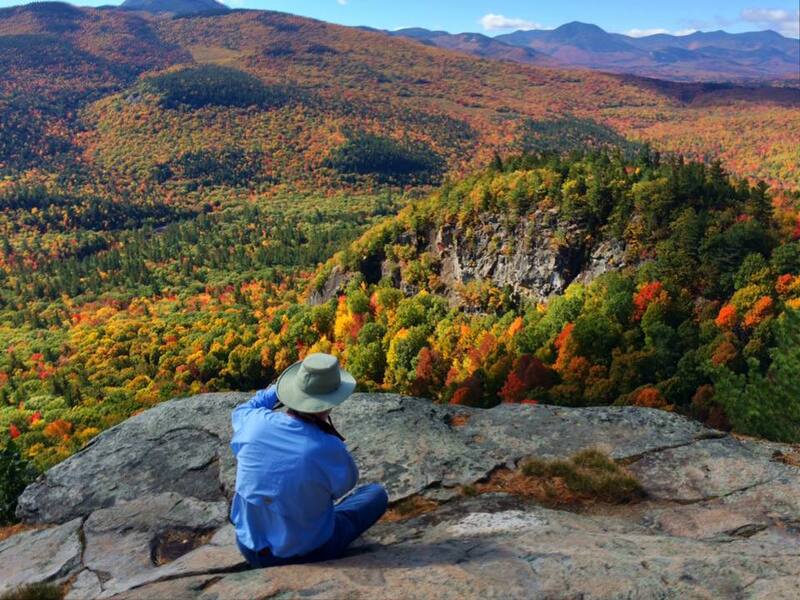 - This is on White Mountain National Forest Land so you need to pay a cash or check fee in the parking lot. Don't forget your money - exact change ($3 when written). - There are privey bathroom facilities available near the trailhead. - This hike is very popular in the summer and can get crowded. Consider trying it in early spring, winter, or fall! - Dogs are allowed on leash. - Careful at the overlook ledges - there are steep dropoffs. Watch children and pets. Do not throw rocks or items over the edge as their could be rock climbers below. I've enjoyed this hike at least twice this year and will probably visit it again this summer. It's long enough to be worth the drive, but short enough that my little one won't be too bored in the pack. Happy hiking! I literally drive past this walk everyday and up until last week, I had never actually gone. I've mostly ignored it before because unlike my usually mountain hiking, it's a flat, easy nature walk. This turned out to be the perfect outing with my friend Courtney and her 2.5 year old. With the easy trail, and things to see like trees, beach, and bridges he (and we) were entertained. 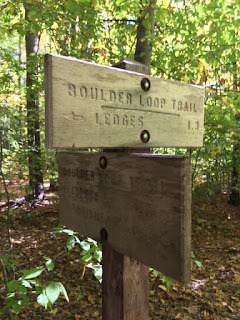 Getting there: I accessed the trail on Rt 108 on the Dover/Somersworth Line. 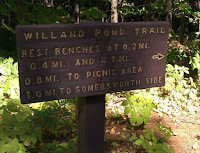 The trail starts at the Willand Pond Boat Launch that is located across the street from Strafford Farm Restaurant. There is a parking lot at the trailhead/boat launch but no bathroom facilities. Trail: The trail is a flat dirt path. I would say it is fairly wheelchair accessible (and stroller accessible). The trail winds along one side of the lake. It is not a loop. There are benches along the way as well as calisthenic stretching/exercise stations. After (my guess) about a half mile, there is a picnic area on the lake. We weren't able to travel the whole trail since the toddler got tired, but we crossed paths with families, singles, and dog walkers all enjoying the trail. - Dogs are allowed on the trail if they are leashed, however, be prepared to see unleashed dogs. - It is a popular local fishing spot. Be prepared to see boats, fishermen, and recreationalists. - It can be crowded in the summer but was pretty quiet on a cool, November day. - Consider enjoying breakfast at Strafford Farms before your walk - that's what we did! - Parking is free. There are no bathrooms. I enjoyed exploring this nature walk close to my house. It's always refreshing to get a respit from the town/city with a little patch of nature. 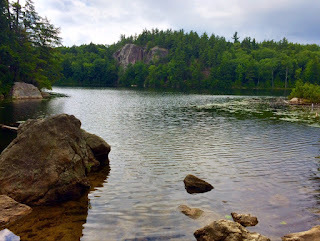 Stonehouse Pond and 150 foot cliff face. My parents were in town visiting last weekend from Oregon. When I asked my mom what she wanted to do for the day, she replied, "I don't know. Walk around a pond or something?" Matt new the perfect place to go on a summer day - Stonehouse Pond in Barrington, New Hampshire. Matt is very familiar with this piece of NH Fish and Game property because he has frequently climbed and ice-climbed the 150 foot granite cliff on the far shore. It's also a well known spot for anglers as it is stocked with brook trout. The hike around the pond is a short one (my guess is about a mile) and provides views of the pond and surrounding area from the top of the cliff. It was just what my mom was looking for and we all enjoyed this local little hike. 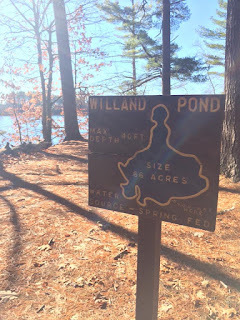 Getting there: The Pond is located on Route 9/Route 202. From the Lee Traffic Circle, take Route 4- East for seven miles. Take a right onto Cooper Hill Road. After about a mile it will connect to 202 East. Turn right onto 202 East. After a mile, turn right onto the dirt road. 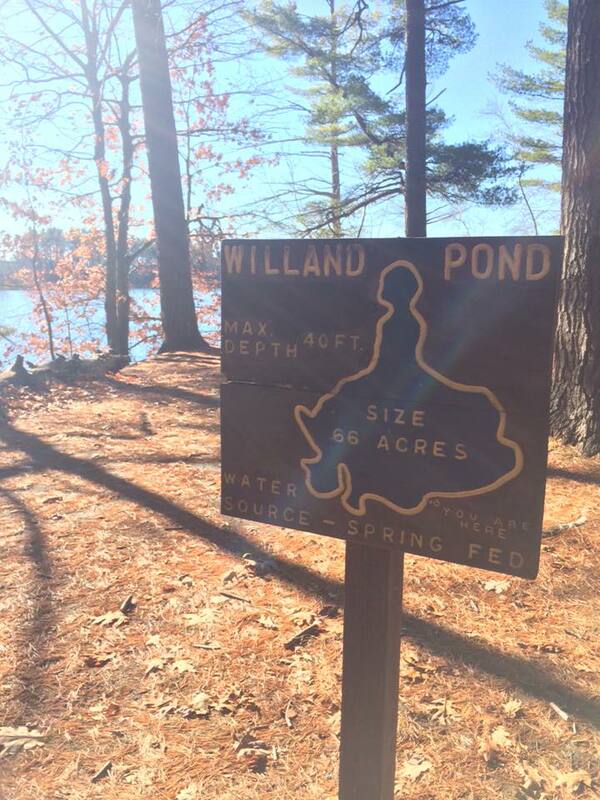 There is a large wooden sign marking STONEHOUSE POND. Drive to the end of the dirt road where there is a parking area. There is no cost to park and no bathroom facilities available at the trailhead. Stonehouse Pond can be found using an iPhone or Google Maps as well. Matt checks out the view on our hike. and choices when going around the pond. It's sort of a choose-your-own-adventure. We stuck to the most well worn trails, keeping the pond always at our right. The trail is fairly easy until you start "climbing" to the cliff. Here, the trail got steep and uneven. After about a half mile, we emerged at the top of the cliff. **Be careful not to throw rocks or objects off since it is both a popular climbing and swimming area below! After enjoying the view, we again had to choose a trail to decend. Our first choice turned out to be quite steep so we returned to the top and then hiked down another one. I could see it being easy to get a little lost since non of the trails are signed or blazed. Take are to look for landmarks and give yourself plenty of time and provisions to return. Difficulty: Moderate. There are some steep areas when climbing up and down the cliff. Because of the numerous trails, it's possible to take a steeper or more challenging trail. Distance: About 1 mile loop. Enjoying the view from the summit of the cliff. - Even though this is a short hike, bring proper hiking footwear and provisions (water, snack, and rain gear). - Take care around the cliff. Do not through objects from the top. The cliff face is a popular climbing spot and there could also be swimmers or boats below. - There are no bathrooms or water at the trail. Plan accordingly. - The dirt road to the parking lot is covered in deep pot holes and can be difficult terrain. Take care! 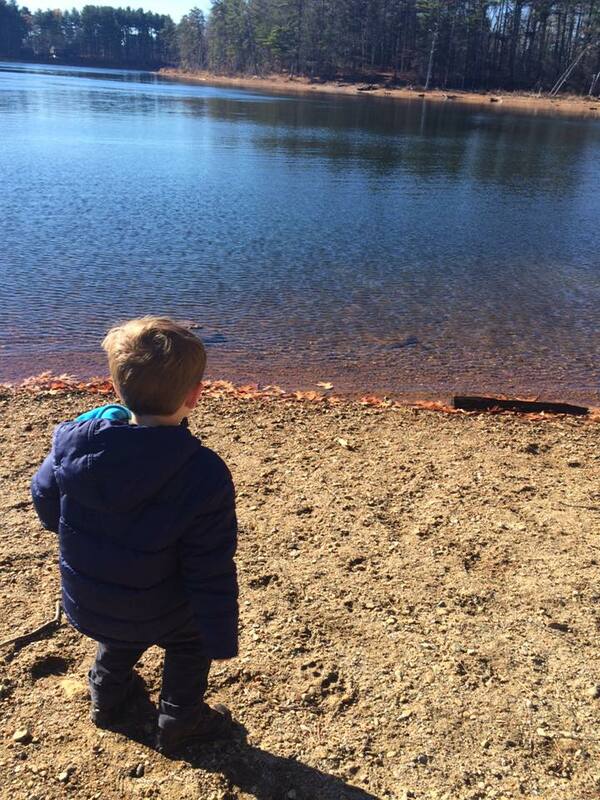 "Walking around a pond" was the perfect family weekend activity and Stonehouse Pond was the perfect place to do it. On the way home, we stopped at Calef's Country Store on Rt 9/125 intersection for a giant pickle and Moxie. What is more New England than that? 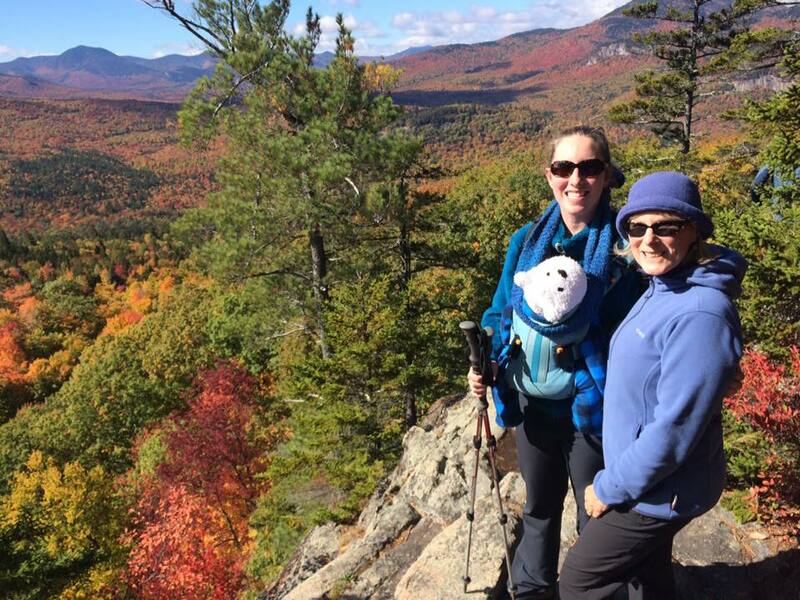 Lindsey is a travel enthusiast and writer based out of Northern New England. She has an affinity for cold, wet places and a desire to explore them. You can read about her adventures here and hopefully replicate them for yourself. Explore your surroundings. I do. If you use Freelance Adventurer Material, please reference this page. Thanks! . Simple theme. Powered by Blogger.